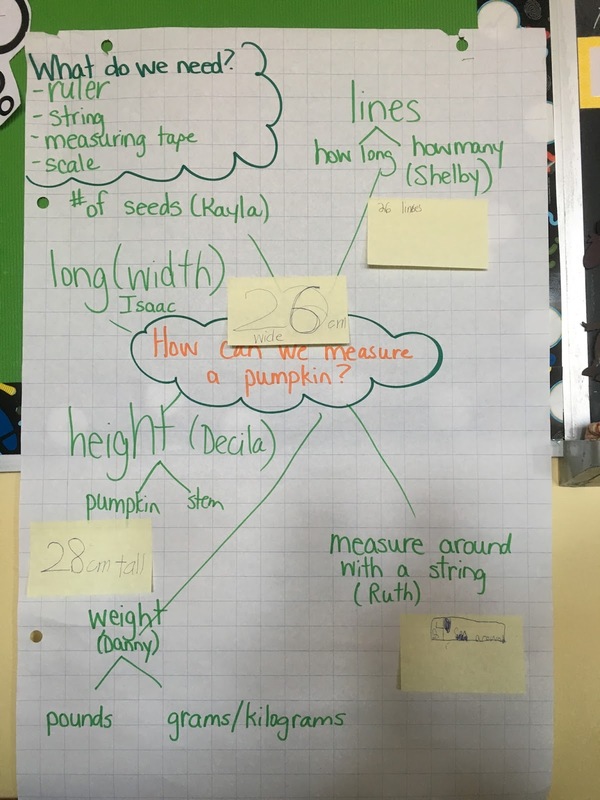 Last week we spent some time exploring how we could measure pumpkins and as you can see...it was a big hit in our class! We brainstormed different ways we could measure a pumpkin on chart paper and spent some math time figuring out all of the different measurements. After counting the seeds in groups of tens, we fitured out that there was 447 seeds in total.